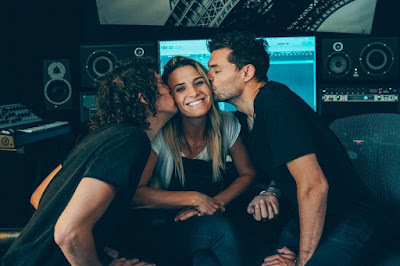 On a recent compilation titled after the hit book, My Utmost For His Highest, For King & Country delivered a stunning rendition of "Amazing Grace" with a little surprise: it was a duet with their sister Rebecca St. James! Rebecca hasn't recorded new music for us since 2011's I Will Praise You, but according to FK&C's Facebook page, she is also working with them on their third album! See the sweet picture of Rebecca with her brothers below! Rebecca also announced during a Facebook live event, that she will be touring with her brothers on their "A Glorious Christmas" Tour. You can see the full tour schedule here. Also, I am happy to let you know that Centric Worship is temporarily giving away a free download of this "Amazing Grace" version! Go here to get it while the getting's good! You can also go here to find out how to purchase or stream the album wherever you listen to music.